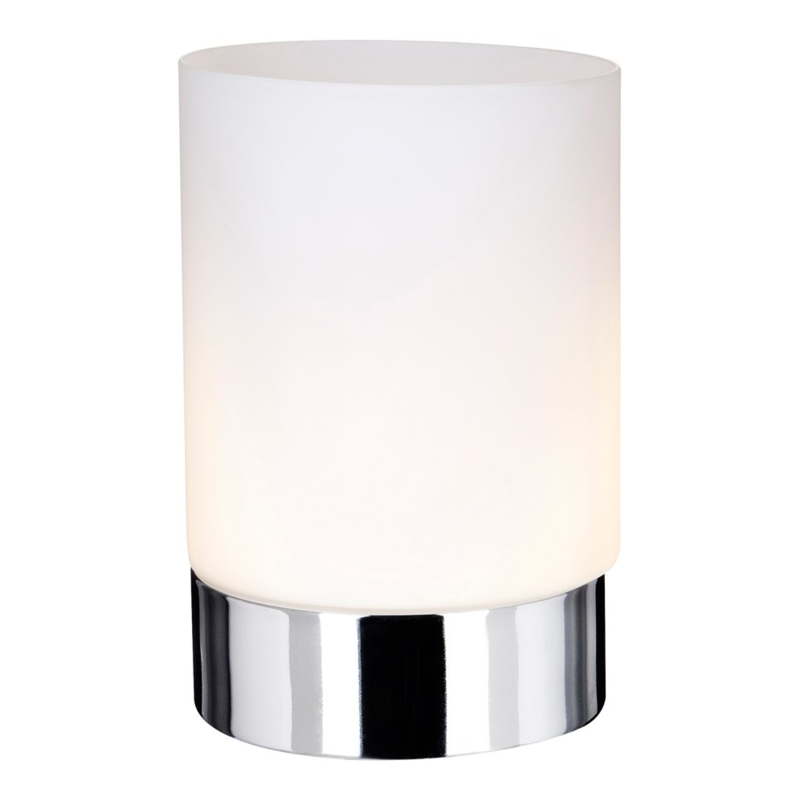 Contemporary petite table lamp complete with opal glass shade. Polished chrome metal bottom where the touch activation is controlled. 1 x low energy 33watt G9 halogen (equivalent to 40watts) - included.